Not only use a good camera to get a good photo. Because, actually taking photos requires expertise. For this reason, we need to learn about photographing technique to produce good picture. We can learn about photography technique while practicing it. Then what are the photography techniques that must be known? There are some photography techniques for beginners. The first is Black and White Photography. The results of this technique are producing black and white photos. Black and white images can be done by changing the settings on the camera to monocrom. But is that easy? To get good results with this technique there are several things that must be considered. First we have to do is choose the object. We have to identify the object we are going to photograph. We do identification to find out the object will be good for black and white. For that, we must be able to look at the object to be photographed. Because the real object can have many colors. So, we must be able to imagine it in black and white. Second is lighting. By adjusting lighting we can look at objects more deeply. Because, good lighting it produces a shadow effect. For get a good shadow effect, we need to imagine. High Dynamic Range (HDR) is one of the basic photography techniques. This photography technique helps to get better lighting. So that it will produce more real photos. In this technique we will combine several photos into one. HDR photos can be processed using Photoshop or Photo Matrix. Tone mapping is the first step to doing this technique. Tone mapping can add superiority to the image. The next photography technique is night photography. At night other than at least light, the photographer must also maintain image quality. The main technique is to rely on light and timings in doing photos. Light at night is obtained from the lamp. Because, at night it is lower for lighting. In addition, you can use a tripod to produce sharper images. 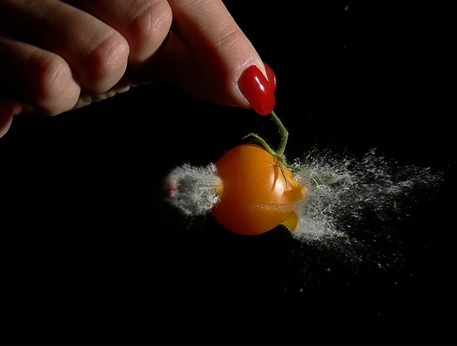 The High Speed Photography technique is basically the technique of taking images with a very fast shutter. The shutter speed on photography reaches 1/8000 seconds. A tool is needed in this technique such as a trigger. When there is a sound coming, the camera immediately takes a picture. The photographer must be able to capture the moment and the image is not blurry. An example of a high speed photo is a broken balloon. The photography motion blur technique greatly utilizes the speed of a moving object. This technique is almost the same as a high speed technique. However, this photography technique is easier. The way to take motion blur photos can use with a normal camera. Using of photoshop software can help get better motion blur results. There are two ways to get motion blur. The camera needed is completely motionless or silent while the subject is moving. This technique will produce photos that focus on the background. So that motion blur will be seen in moving subjects. An example of this technique is the condition of the highway at night. The motion blur effect will be seen in the background. While, the subject remains focus. In this photography technique the subject and the camera will move together. This technique is also called Panning. This photography technique is taking pictures using infrared light. We must use a digital camera with good infrared sensitivity. In addition, the camera filter must also be clear. For example the filter that can be used is the Wrattten 89B filter. Macro is a basic photographic technique that is carried out close to smaller objects. This technique needs a macro lens and a camera that supports macro photos. Actually, it can also be done with a normal lens but not as good as a macro. Macro lenses among others are macro lenses, macro zoom lenses, close-up lenses. This photography technique is suitable for use in the natural environment. The shooting technique uses exposure settings. Exposure is changed to a fairly long interval. To get maximum results, you can use ND Filters. Flash is not only used to provide lighting. It turns out that flash can also provide focus objects and light intensity at a certain point. In addition flash can also produce different colors if given a color filter in front of the flash. There are still many types of photography techniques. So, to get a good picture,we also have to master photographic techniques. So that the resulting a photo has artistic value. Let improve your photography technique. Previous post Fujifilm GFX 50R Features; What is Makes Expensive?